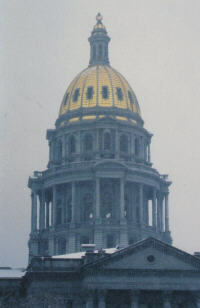 Bart Alexander and Richard Banta are exploring the potential for activities and events now that there are some 140 alumni in Colorado, most in the Denver/Boulder area. Denver area LSE alumni and friends gathered for our end of summer party where we said "Bon Voyage!" to departing LSE students. New LSE students meet and socialized with area alumni. The British American Business Council of Denver and the AFLSE held a welcome reception for Mr Kevin Lynch, Her Majesty's Consul, British Consulate, Denver. The event was held at the Tap Room, Molson Coors Brewing Company. The event was hosted by Molson Coors. Denver chapter alumni and friends ended the summer with a party to say "Bon Voyage!" to departing LSE students. 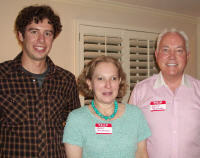 Colorado LSE alumni socialize with and welcomed prospective LSE students from local schools. A special thanks to Mary McBride and Jerry Kashinski for graciously hosting this event at their home. 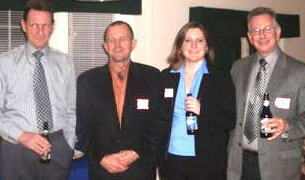 (from left) Jon Slinger, departing Masters student, Mary McBride, LSE alumnus and party host, Jerry Kashinski, party host. The Denver Chapter was invited to participate in the Queen's 80th Birthday Celebration hosted by the British American Business Council (BABC). More than thirty Denver Alumni and Friends of the LSE attended a reception at the private residence of HM Consul Mark Stevens. The reception gave the Chapter members and other alumni a chance to discuss the types of events alumni hope to see in the future. The guests socialized and enjoyed refreshments generously provided by the British Consulate and Molson Coors. The reception was a great start to what we hope will be an active and thriving Chapter.